62. How is the VPX upgrade process carried out? Upgrades are performed the same way as for NetScaler appliances: download a kernel file and use installns or the upgrade utility in the GUI. 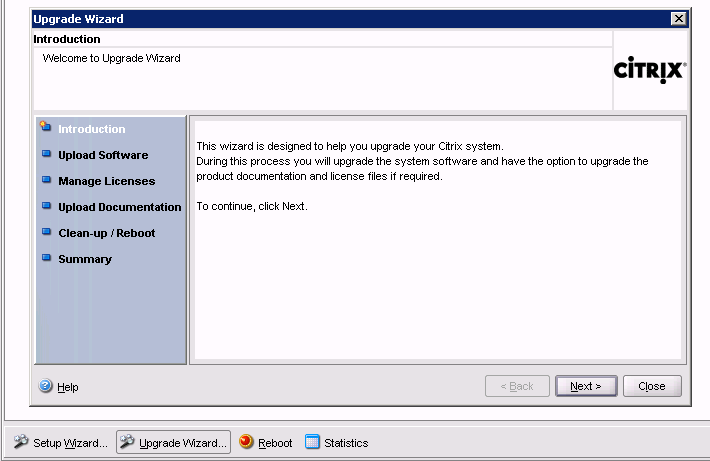 Once NetScaler VPX is initially installed, and NetScaler 9.1 (or later) Classic maintenance release/patch can be used to upgrade it. OK, now – how do you upgrade physical NetScaler appliances? Here “Upgrading a Standalone NetScaler” topic from the NetScaler documentation comes to help. First of all, you’ll need to download the maintenance build package and the corresponding documentation from Citrix Downloads site. Choose “NetScaler” as product and “Virtual Appliance” as hardware, then select desired version to upgrade to. In the version page scroll to the bottom, select latest (or desired) maintenance build and download it. In case you want to download the build documentation (and you probably want to), click on “Show Documentation” and download the documentation package also. Copyright (c) 1992-2008 The FreeBSD Project. http://www.mycitrix.com under Support > Downloads > Citrix NetScaler. to view the MD5 checksum file for build 9.3-50.3. A new FreeBSD bootloader installation is required. Many files in /flash/boot will be overwritten. Since the window is not interactive, I had no choice but to abort the installation process and log in to the NetScaler console. The uploaded files remained in the directory shown in the log, so I simply invoked the same process manually. After I approved the bootloader installation, the upgrade process completed successfully. There may be a pause of up to 3 minutes while data is written to the flash. Do not interrupt the installation process once it has begun. Reboot – and fresh NetScaler VPX 9.3 build 50.3 is ready! P.S. Here is another article about upgrade to NetScaler 9.3 (not only VPX). 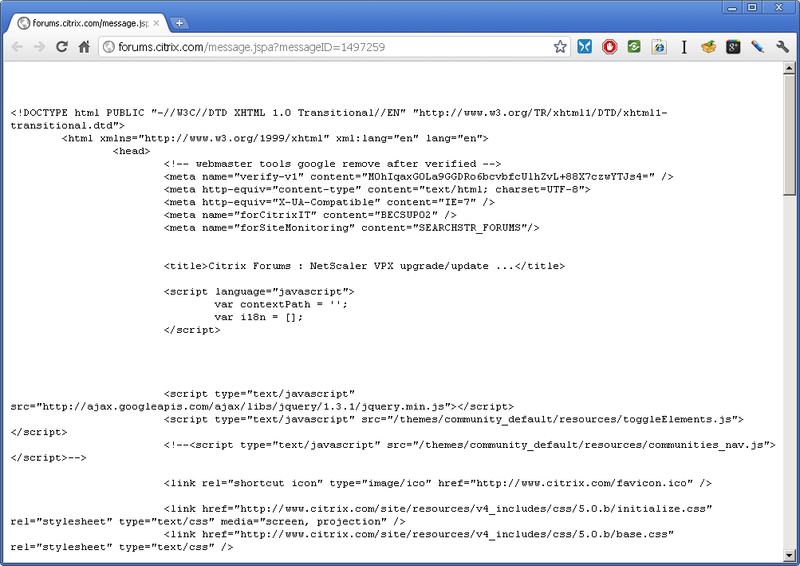 This entry was posted on August 28, 2011 at 13:46	and is filed under HOWTO. Tagged: Citrix, NetScaler, VPX. You can follow any responses to this entry through the RSS 2.0 feed. You can leave a response, or trackback from your own site.